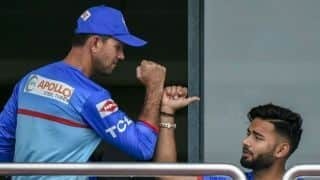 Cricket News LIVE: Get Breaking Cricket News and Updates and Cricket Trending news of 26-04-2019. Billings dislocated his shoulder playing for Kent in the Royal London One-Day Cup on Thursday. The 61-year-old, who was England's wicketkeeper in the 1983 World Cup, has officiated in 74 Tests, 135 ODIs and 37 T20Is so far. Hales, 30, was named in England's provisional 15-man squad for the World Cup. 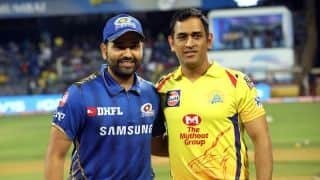 In 25 matches versus each other, Mumbai Indians have won 14 and and Chennai Super Kings 11. 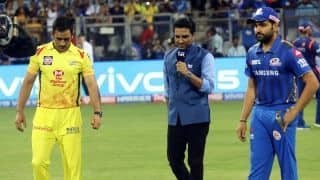 IPL 2019 CSK vs MI Match 44: What can we expect from the IPL’s El Clasico? 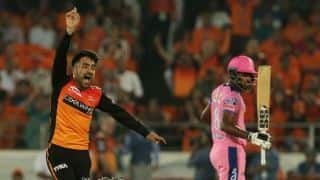 The talking points ahead of today's IPL 2019 match between Chennai and Mumbai. Full details of when, where and how you can watch and follow the updates CSK vs MI. 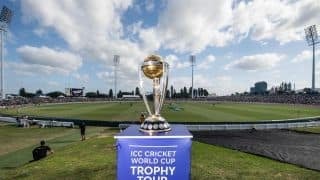 The tournament opener between England and South Africa will see three World Cup winners officiating. Having beaten Sunrisers, CSK now take on Mumbai Indians in the 44th match of IPL 2019. 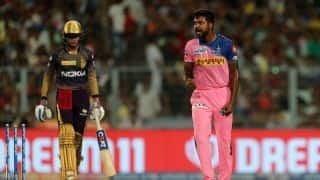 In his second match of IPL 2019, Varun Aaron was named Man of the Match after RR beat KKR.